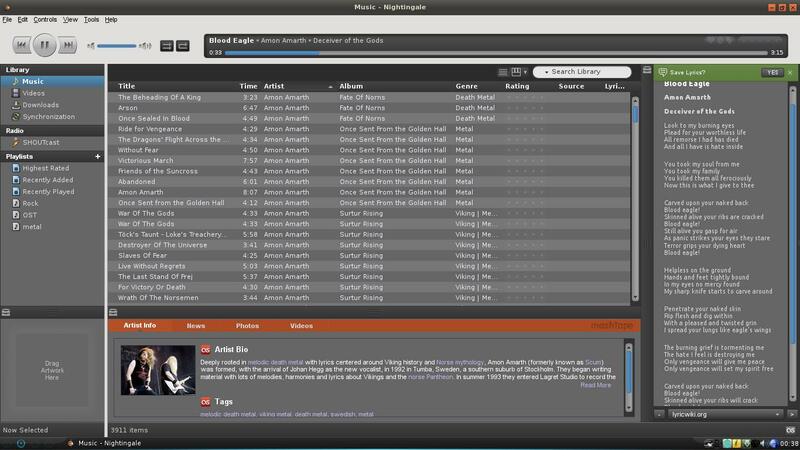 Plugins: All plugins I used in Rhythmbox have a equally good, if not a better counter part in Nightingale. 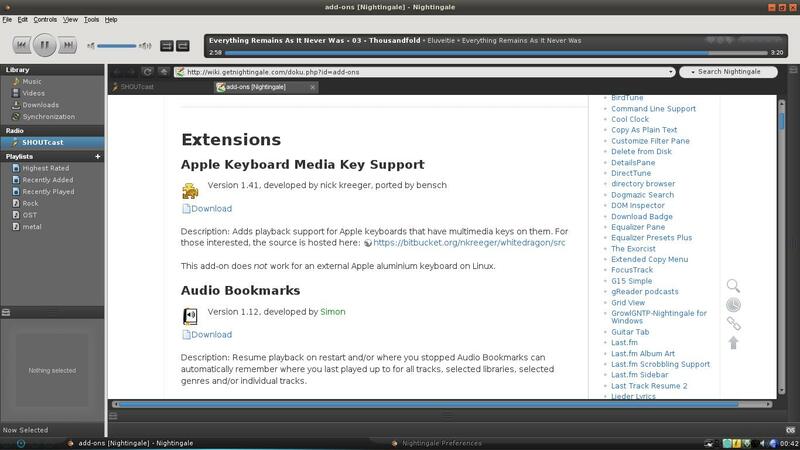 Unlike most players, installing add-ons is as simple (same) as in Firefox. Existing extensions will most probably have you covered. 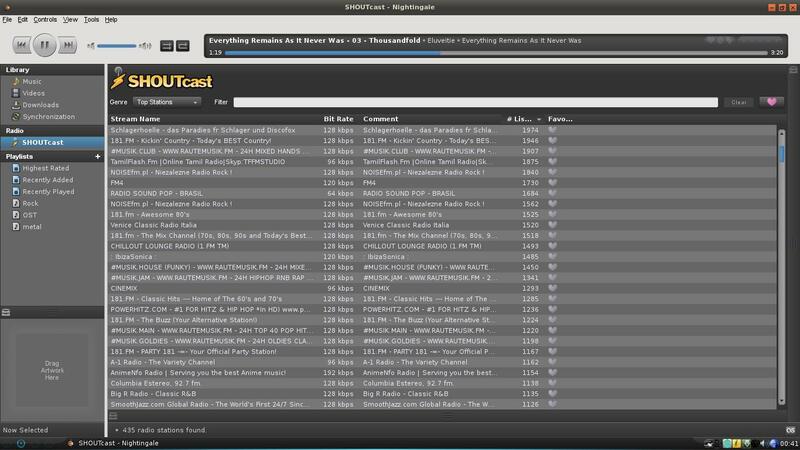 You have a Last.fm scrobbler, mashTape, SHOUTcast, MLyrics, Guitar Tab etc. Add-on architecture is solid and as Nightingale becomes popular, more 3rd party plugins will pour in. Library: It is very similar to Rhythmbox, and it is a good thing! Extras: A builtin web browser, support for Video playback, sync, skins (Feathers). Bugs: Although it seems perfect for daily use, random crashes are not rare. I felt the git version was a lot more bug free, but switched back to release version as Last.fm didn’t seem to work. System Resources: Stats show a little more system load than Rhythmbox in my case. However, the difference is not really big. Also, I don’t get heavy disk usage with Nightingale which I used to face in Rhythmbox. Media Keys don’t work out of the box: Some obvious workarounds are required to make it run, but an out of box support would be great. 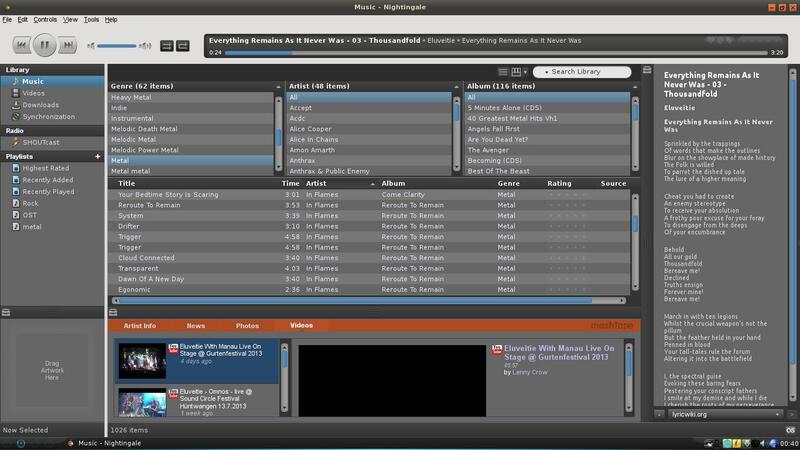 Import the m3u file into Nightingale.